Exotic as they seem, artichokes are actually very easy plants to grow. The varieties we sell at Seeds from Italy are perennial in places where winter temperatures are above 20°F. In those climates, artichokes can be seeded in fall for harvest in spring. Everywhere else, artichokes can be grown as annuals. They will do best in places with mild summers, but growers in hot-summer regions have succeeded with them by keeping them mulched and well-watered. One of the keys to success is to schedule seeding so that 6-week-old plants can be set outside early enough to receive at least 10 days of temperatures 45-50°F. For most gardeners, that means they should be started 8 to 12 weeks before the average frost-free date. Artichoke seeds are large, almost as big as sunflower seeds, and they germinate within a week when started on a heat mat at 75-80°F. The seedlings grow quickly and within a few weeks have two or more sets of true leaves, which are silver, fuzzy, and with the beginnings of prickly edges. If the plants outgrow their pots before it’s time to plant them out, they should be moved up into larger containers. 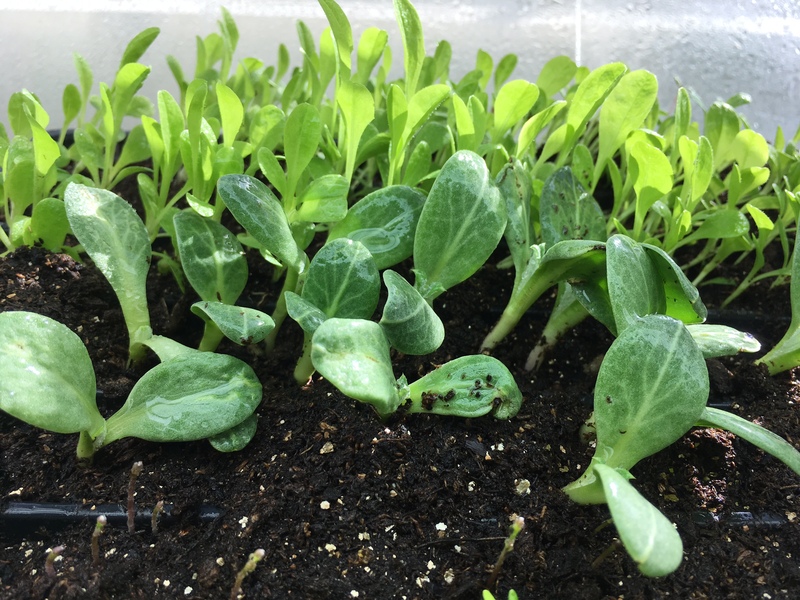 Beginning about four weeks before the frost-free date, the seedlings should be gradually exposed to direct sun, wind, and cool weather to harden them off. Three weeks before the frost-free date, they should be planted outside. It’s important that they get the chilling period, but they still need to be protected from frost. Most growers have row cover ready in case of a late cold spell. Plant artichokes 3 feet apart for annuals, 5 feet apart for perennials. Their fertility requirements are about the same as tomatoes; they should be fertilized with a high-potassium fertilizer every two weeks during the active growing phase to encourage flower buds to form. Plants should be kept moist and weeds must be controlled. Artichokes are ready for harvest when the flower bud is tight and firm. The center bud will ripen first and secondary buds will ripen later. If buds are not cut off in time, they will open into beautiful purple thistle flowers. When all buds on a stem are harvested, cut the stem back to the ground. Cardoons are closely related to artichokes and similar in appearance, but the edible part is the stem, not the buds. Their long, silvery leaves on 3- to 4-foot tall plants make them striking ornamentals in the garden or containers. Cardoons should be grown as described above for artichokes. They can be started a few weeks later than artichokes because they grow quickly and don’t have as great a cold requirement. Cardoons need to be blanched for the stems to be edible. In late summer, gather the leaves up around the plants and tie them with twine, then cover completely with black plastic for 3-4 weeks as the weather cools in fall. Cut the stems at the base to harvest.